Pi spotting camera #3DThursday #3DPrinting « Adafruit Industries – Makers, hackers, artists, designers and engineers! 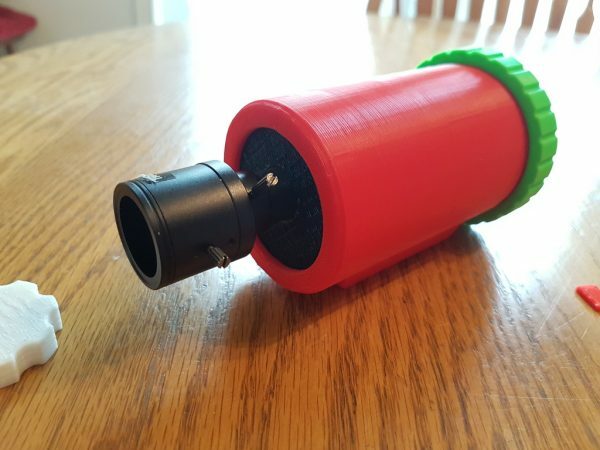 I made this spotting camera to be able to view a remote target. The camera uses a Pi camera module with a separate lens. The case could also be used to house a raspberry pi Zero, particularly if it needs to function on battery power occasionally.